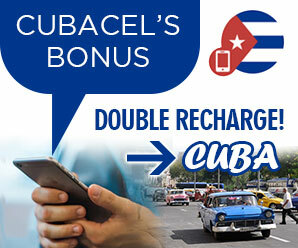 cubacayosabinal.com | Want to know before you go? Official Cuba Cayo Sabinal information and guide, get facts and latest news. Getting to Cayo Sabinal by road is rather simple. This guide to driving to Cayo Sabinal starts from the Carretera Central, Cuba’s main central highway axis which extends through the center of the country. The guide assumes a direction north (Havana) to south (Santiago de Cuba) Cuba. When you arrive on the outskirts of Camaguey you will be able to border the city on the beltway loop (ring road) highway. Essentially, you don’t need to enter the city center. Head towards the town of Senado, as soon as you see signs for Redention and Nuevitas take that direction. Before entering Nuevitas you’ll take a left turn towards Lugareño. On that road you’ll see the right turn towards Cayo Sabinal. The 18km road is largely unpaved with several large potholes. Its a dusty limestone covered road so, wearing high contrast sunglasses will help you to see the road better, since its extremely white (bright). You’ll normally need a car with reasonable ground clearance like the Hyundai Santa Fe or Suzuki Vitara, especially if you want to negotiate the dirt road at a reasonable speed. 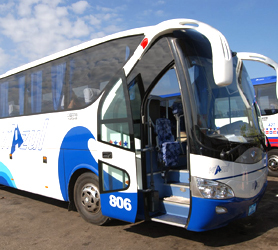 These vehicles are also useful to venture along the roads on the island itself. However, if you are willing to take your time and, travel quite slowly, it can be achieved even in the smallest rent a car. In a smaller car (lower ground clearance) the drive just takes longer, since you need to constantly concentrate on the road ahead. If you are staying in Nuevitas or Puerto Tarafa, it will take you less than 40 minutes to get to Playa Pinos Beach on Cayo Sabinal. If you are staying in Playa Santa Lucia, you’ll note there are numerous tours listed on the website to visit Cayo Sabinal by sea. However, driving to Cayo Sabinal is pretty easy. 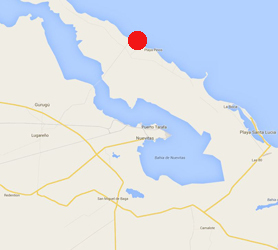 On most maps Cayo Sabinal looks to be connected to Playa Santa Lucia but, in fact, it isn’t. The road is great until San Miguel Baga and Nuevitas, you will then take the aforementioned directions to get to Cayo Sabinal on the same road mentioned. 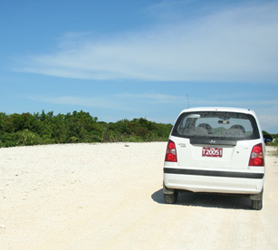 Its very easy to be alone on Cayo Sabinal when you visit by car. Once you conclude the main road to the island, there are several minor roads taking you to different areas of the coast. Its a great place to explore and there’s lots of things to see and do. It seems that Pirates and Bandits knew how to choose their outposts well. 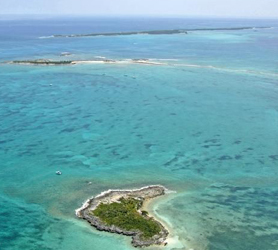 Cayo Sabinal is a place of legends; the pirates who inhabited the area used its virgin coastline to spring attacks on vessels trying to make it through the Bahamas Channel. Their adventures, now stuff of legends, included looting and smuggling, resulting in the primary reason why the Spanish, in 1831, built on the eastern coast the Fort Sabinal San Hilario to curb these wayward scoundrels. San Hilario served as headquarters for the Spanish troops, packed with artillery to protect the Sabana-Camaguey cays and, all important, shipping routes from the Old World to the recently discovered Americas. The Fort on Cayo Sabinal serves as a reminder of these tumultuous times. Cayo Sabinal is the first island in the Jardines del Rey Archipelago and, as such, the first area where vessels needed to guide themselves through the perilous shallow waters surrounding the over 2500 keys, cays and islets of the Kings Gardens on their way to Havana and beyond. As a result, in 1847, the tip of the island at Maternillos is where the Columbus Lighthouse was erected. Not only to guide ships through the narrow channel, but also as an observation point from which the Spaniards would survey the Old Bahamas Channel. The perils of these waters are made only too real when we consider the high number of shipwrecks in the area. The extensive coral reef has no less than 34 designated dive points to view these numerous sunken vessels. 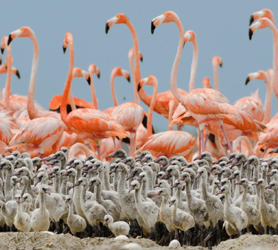 Cayo Sabinal’s virgin beaches are home to large colonies of Pink Flamingos. The Flamingos having chosen the South of Cayo Sabinal due to its rich fauna and ample feeding opportunities. You’ll see literally thousands of birds on the island, flocking in areas along the beaches and feeding in the undergrowth. Due to the virgin nature of Cayo Sabinal we urge visitors to apply mosquito repellant when visiting the island. The tour begins by collecting participants at their respective hotels listed below. Collections begin at 8.am so please be at the reception of your hotel by then. The cost of the tour, sold at the below hotels (see links for details), is 40 CUC for adults and 19 CUC for children and includes lunch. Setting off from the port of Santa Lucia Beach, our comfortable motorboat offers ample room for all 24 excursionists. As we jet across the crystal waters you’ll often be able to see flying fish and dolphins. When we arrive at Cayo Sabinal you’ll be able to snorkel for an hour from the boat or walk to shore through the warm shallow waters. Once on shore, our guide will take you to the Fort San Hilario and Faro Colon, we then progress down the coast to the Flamingo and Iguana Sanctuaries. These majestic birds are unfazed by human presence, as they strut elegantly through the waters, feeding on tiny crustaceans and marine life. Nearby you’ll experience one of only a few Dolphin sanctuaries, seeing these beautiful mammals nursing their young and playing in the sea is an almost spiritual sensation and one you will never forget. Returning to the boat we will head out to Cayo Ballenato, a tiny island and reef just off the coast of Cayo Sabinal, from which, you´ll be able to see the island in all its glory, including the majestic Columbus Lighthouse in the distance. Once again, this tiny island is home to several families of dolphins that can be observed while you eat lunch on the beach. We depart back to port at 4pm, arriving back in Santa Lucia by 5pm. Booking this tour is through your reception desk at the above hotels. 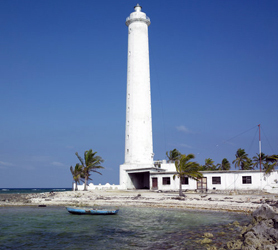 Faro Colon holds the accolade as being Cuba’s tallest lighthouse, located just 20km (12 miles) from the town of Nuevitas on the north coast of Cayo Sabinal. The Columbus lighthouse has a focal length of 53 meters (174 feet). It uses a white light which flashes every 15 seconds. Adjacent to the lighthouse is the one storey light keeper’s dwelling. The Punta Maternillos Faro Colon serves as an observation center that can still cover the entire Bahamas channel. Over the past +160 years it has played an important role in advising Captains who use the port of Nuevitas. Visitors can access the lighthouse by road and the whole area and tower is open for tourists. Faro Colon is still a great tourist attraction and is still active. 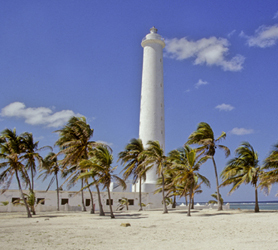 It is admired by Cubans and is one of the oldest lighthouses in Cuba. Take your camera to snap some shots of the views and the blue sea, for as far as the eyes can see. The views of the coastline are also spectacular. Legend has it that Punta de Maternillos is a place of buried treasures and great riches. 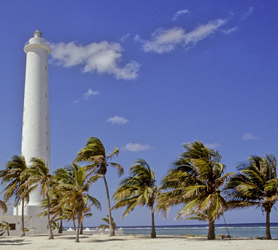 The Columbus lighthouse (Faro Colon) was built in 1847 as observation post, the lighthouse beacon a savior for sailors passing through the treacherous Bahamas Channel on their way to Havana, Florida and Mexico. Further along the coast on Cayo Sabinal is the fortress of San Hilario that served as a fortified tower and barracks for Spanish artillery and troops, Built to defend against repeated pirate attacks in the 17th and 18th centuries, the fort kept marauding corsairs at bay. The San Hilario fort later became a prison and, in 1875 was used as a base for a short lived uprising against the Spanish monarchy in Cuba. 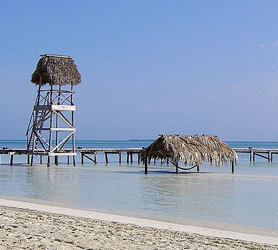 The name Cayo means Key or Cay in Spanish and is commonly used for all the islands, islets and keys in Cuba. 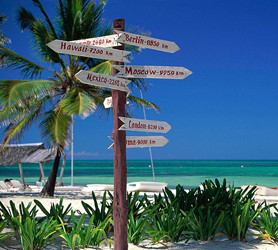 The Jardines del Rey Archipelago, where Cayo Sabinal is located, has over 2500 keys, islets and Islands. The word Sabinal refers to the species of Juniper Sabina tree (Juniperus Sabina) that grows abundantly on the Island. The Juniperus Sabina is thought have somehow been taken to the island from Europe, either from seed cones (the cones can protect the seeds for years and also float) that floated across the Atlantic or, possibly those from a ship wreck off the coast. Juniperus Sabina is from the scale leaf species, adult leaves are mostly scale-like, similar to those of Cupressus species. Therefore literally translated, Cayo Sabinal would mean Island of Junipers or Juniper Island. Of course the island is also populated by the native Cuban royal palm trees, especially along the coastline beaches of Playa Bonita, Playa Los Pinos and Playa Brava. Posted in Why the name Cayo Sabinal? | Tags All About Cayo Sabinal, Fauna Cayo Sabinal, Meaning Cayo Sabinal, Playa Bonita Cayo Sabinal, Playa Brava Cayo Sabinal, Playa Los Pinos Cayo Sabinal, What does Cayo Mean?, What does Sabinal Mean? Searching for a deal on flights to Cuba? 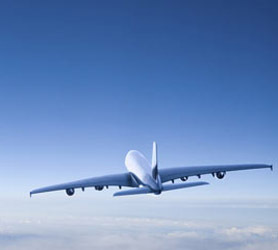 Immediate confirmation of your flight to airports near Cayo Sabinal Cuba is just 2 clicks away. We also offer a price comparison of all available airlines to Cuba and Domestic flights to allow you to get the best flight deals to Cuba right now. Our Cuba flight checker is free and can help you plan your vacation budget. Once you have booked your flight to Cuba, you can conveniently book your hotel, car rental or any other service on this one website, we are also available on our chat system should you need any personal help with your travel to Cuba or to coordinate your whole trip to Cayo Sabinal. We also offer VIP arrival services, airport transfers and much more, just ask us on our chat system and well coordinate your whole trip for you!